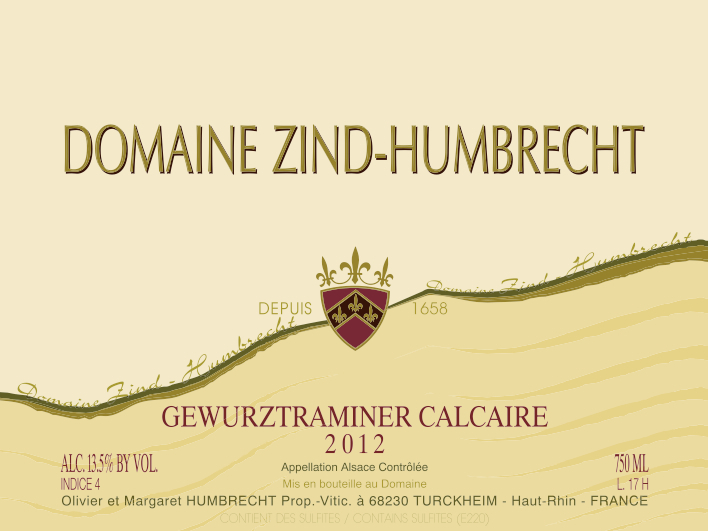 In 2012, we blended the ‘young’ vines from the Hengst (planted in 1985 and 1978) with a small vineyard located near the Goldert, all located on rich marl/limestone soils (Calcaire), in order to produce this wine. The grapes had the typical 2012 characteristics: healthy, they took a long time to ripen properly, decent acidity for this grape variety and strong vineyard character. The fermentation could have gone further, but the wild yeasts went for a more elegant balance, keeping some residual sweetness in the wine. 2/2012: the nose shows light citrus fruit with medium intensity but profound complex spices. After some aeration, because the lees influence is still strong on this young wine, it is possible to perceive more exotic fruit. There is an overall sense of ripeness and elegance in this wine on the palate and, gradually, the finish shows more and more complexity. The sweetness feels quite discreet and there is an interesting combination of acidity and tannins that makes this wine taste much drier. Perhaps an Indice 4 was slightly exaggerated. This wine evolved superbly days after being open, showing great ageing potential.